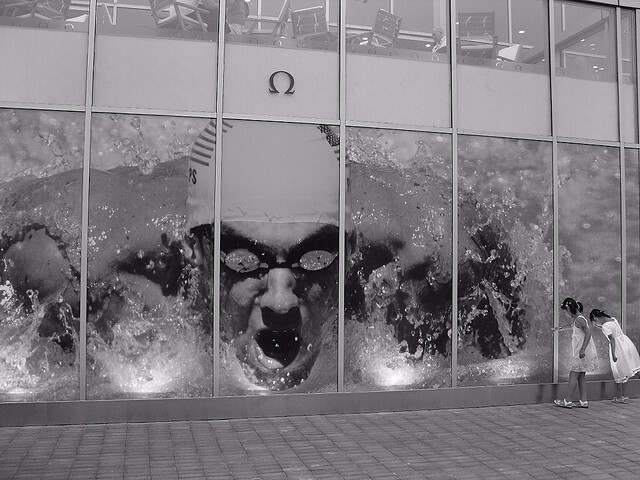 Remember when Michael Phelps quietly retired from swimming? Yeah, he doesn’t either. The most decorated Olympian in the history of the Olympics came back from losing children’s games to children to race in the 100 meter butterfly — ostensibly to qualify for Nationals, which is the first step towards being able to compete in the 2016 Summer Olympics in Rio. Phelps, 28, told The New York Times that the he thought the last time he’d had to worry about qualifying for nationals was when he was 13. Fun fact: Phelps holds the world record for the 100 meter butterfly with a time of 49.52. He qualified — he actually posted the fourth fastest time in 2014 and finished second. To Ryan Lochte, who is the kind of prerequisite friendly rival to Phelps that all individual sports seem to spawn. While the pair did not race simultaneously, which would’ve been difficult considering they both swam in the same lane, they finished the finals with times of 52.13 (Phelps) and 51.93 (Lochte). But what does this mean for the swimming universe, and for Rio? Phelps’s two-year retirement left a void in the pool, a space that no amount of water could fill. Here are four takeaways from the return of Michael Phelps. Phelps became nearly inescapable during his back-to-back-to-back runs at the 2004, 2008, and 2012 Olympics, plastered over Wheaties boxes and television advertisements for Speedo and Subway and Louis Vuitton. They range from goofy (his 2011 ad with Jay Glazier is the best example of that) to The Wire-influenced pseudo-doc — check out the Speedo ad below for that one — but the important thing is that they were everywhere. 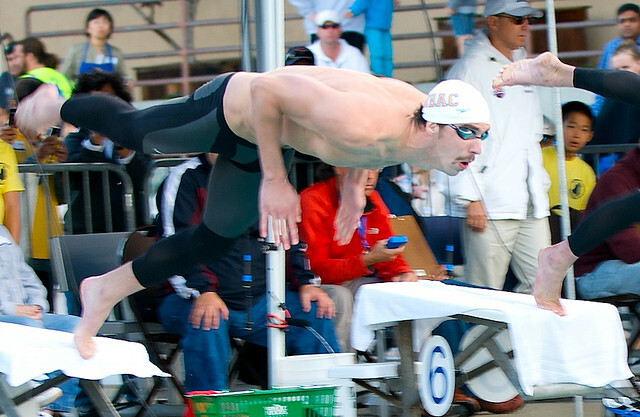 In 2014, Phelps raced in an Arena suit, and wore a Ping baseball hat and an Under Armor shirt. He told The New York Times, “I am signing no contracts. I guess I’m considered a free agent at this point.” Of course, Phelps has made enough to keep him comfortable, unlike many of his contemporaries. Phelps’s return has sparked nothing but excitement from everyone involved, from Lochte to other USA Swimmers to Phelps himself. According to the world record holder, he’s in it for fun, and the fun seems to be infectious. “He’s definitely somebody I looked up to when I was younger, so it’s great that he’s here and other young people can look up to him,” Olympic swimmer Katie Ledecky told ESPN. And The New York Times opened one of their Phelps pieces with how Michael Andrews, the youngest swimmer ever to turn pro (last year, at the age of 14), left his first Phelps meeting beaming. Pumped to be racing again… Happy with the time tonight right where I wanted to be! !